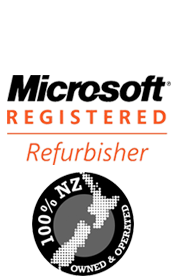 IT Recycle was established in 2010 to collect your old IT equipment Auckland-wide. We make sure that computer recycling makes a positive environmental impact in every aspect of your company. We a offer a secure data-wiping service – this can be undertaken on your own premises or back at our secure processing centre, offering true peace of mind for data security and secure IT disposal. We collect all manner of all IT equipment, which can include Computers, LCD Monitors, Laptops, Servers, Terminals, Printers, Network equipment, Cameras, All types PDA and Mobile phones, All types of Circuit Board, Wiring and cabling, Scientific Equipment, Electronic Scrap, UPS,LCD TV, Typewriters, Fax Machines, DVD players, Overhead projectors, radios and stereo equipments, we have the skill and expertise to provide a credible and secure IT asset disposal and recycling service. Making ethical IT disposal the most cost-effective and efficient option for your business.